Your Body: The Brain-Body Connection | Welcome to Peak Performance! Your brain controls and coordinates every single function of your body, from your digestive and circulatory systems to your immune system. It moderates your body chemistry making you sleepy when you need rest and giving you energy when it is needed. 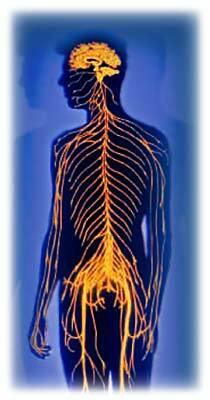 Your brain and body communicate with each other through your spinal cord and nervous system. Messages are sent out to your body and its organs which then send messages back to your brain with vital information about what’s going on in both your internal and external environments. Am I too hot? Or too cold? Did I eat or drink enough (or too much)? Am I hungry? Am I safe? Your brain analyzes these messages and then sends out new ones to cause your body to respond in the appropriate way – from constricting or dilating your blood vessels to secreting a hormone or pumping out just enough stomach acid. There are billions of cells in your body responding to millions of commands each second, hour and day of your life. This complex feedback system is how the integrity, well-being, and status quo of your body are maintained. Your health depends on messages between your brain and body being clearly transmitted through the vast network of your nervous system. If there is interference in this communication system then stress levels rise and poor health will eventually result. If we keep the communication path free and clear, your body will be better prepared to perform at its innate optimal level. The purpose of chiropractic care is to remove interference from your nervous system so that your body and brain can communicate freely and fully.